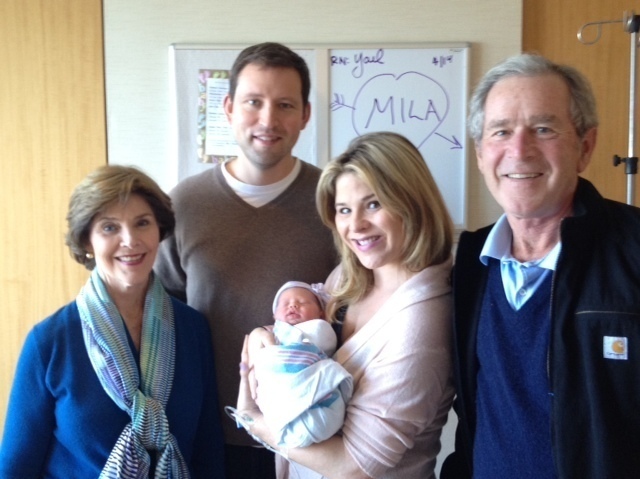 'Mila' Is First Grandchild For George W. And Laura Bush : The Two-Way The baby is named for her grandmothers. Her granddad, the nation's 43rd president, has already prepared three paintings for the baby. He's "become an artiste," Jenna Bush Hager told People magazine. 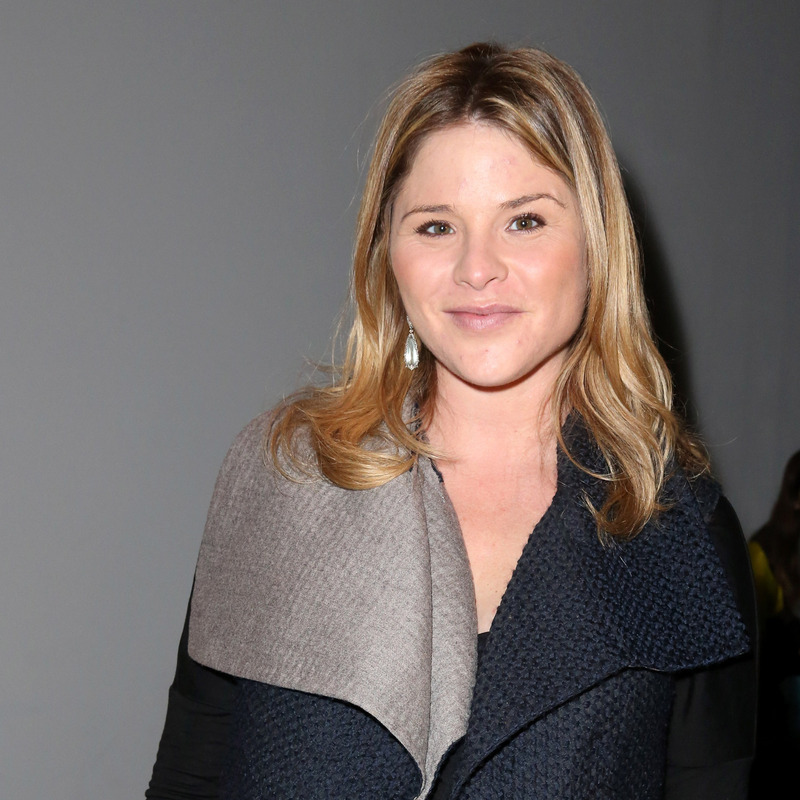 Jenna Bush Hager, daughter of former President George W. Bush and former first lady Laura Bush, gave birth over the weekend to a girl. Margaret Laura "Mila" Hager is named for her grandmothers, the former president announced in a statement. According to The Associated Press, the little girl's nickname is pronounced MEE-luh. Jenna Bush in February. Over this past weekend, she gave birth to a girl. Jenna Hager, now 31, is a Today Show correspondent. According to the show, husband Henry Hager says "both my girls are healthy and well." Mila weighed in at 6 pounds, 15 ounces. CBS New York adds that earlier this month Jenna Hager "told People Magazine that her father, who has taken up art in his post-White House life, already has prepared three paintings for the baby — a portrait of the Hagers' cat, Bernadette, to place above the crib; landscape featuring a 'baby tree' from his Texas ranch; and a still life of the ranch's stone cross where the Hagers were married in 2008." She also told People that her father has "become an artiste. There's a whole new side of him, and he's so excited about the baby." Today has a series of photos of Mila, her parents and her grandparents. The former president tells The Dallas Morning News that "people are surprised" he's taken up painting. "Of course, some people are surprised I can even read," he adds. Bush tells the newspaper that painting is "a way to create. I enjoy creating. ... You can express yourself in a way that's unique."